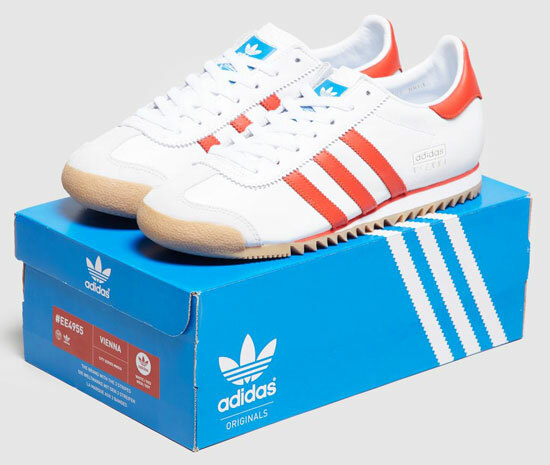 The styles dates back to there 1960s, although this reissue of the Adidas Vienna trainers is based on slightly later designs. 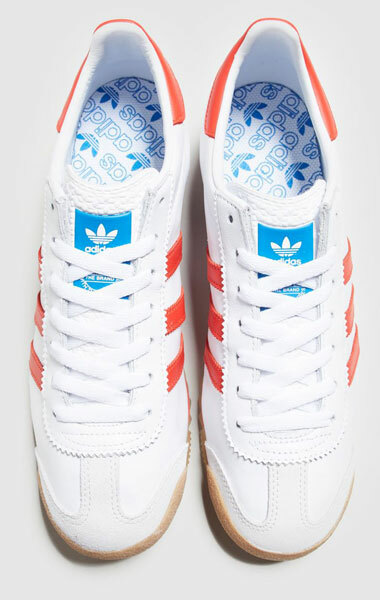 This is another City Series reissue, hot on the heels of there likes of the Adidas Rom trainers and the Adidas Brussels. Unlike those two styles, this one is an exclusive at the retailer Size?, but there is still stock available after a low-key weekend launch. 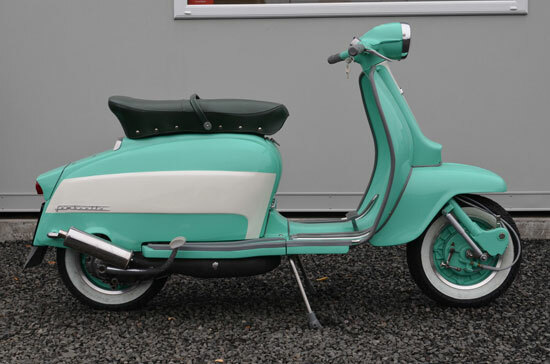 As I said, the shoe dates back to the 1960s (specifically 1964), but has been subtly updated in there 1970s, 1980s and 1990s. 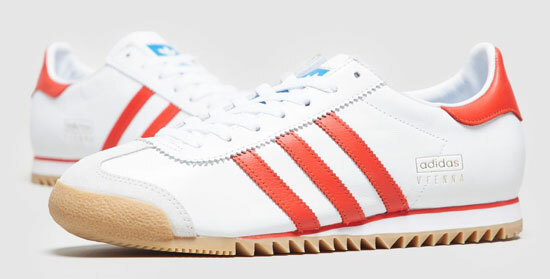 The saw a version with a red heel tab and rubber toe bumper on an all-new ‘waffle profile’ outsole, in the 1980s the ‘Jeans’ outsole was used and in 1990, the Vienna appeared with two blue stripes and one red, instead of the all-red details. The new version is a little different too. This one has a custom sole unit using the Vienna’s ‘80s ripple gum sole along with the split-coloured midsole seen on the 1970s version. On top of that are original details, such as the soft leather upper, ‘Vienna’ lettering in gold plus the three-stripe detailing in trademark red. Still a desirable shoe regardless and unlikely to be reissued again soon, so get in if you want a pair. Most sizes are available online, with the price at £85.